This post is sponsored by Kohl's. I was paid for this post and received the included Carter's clothing as compensation. Back to School season is my most favorite season. Even as a kid, it was always so much fun shopping for new clothes for a new year, it made me feel so excited for new possibilities. Now, as a Mom I think I love Back to School season even more. As I shop for my daughters this year, I've noticed two things. 1. They have grown so much and 2. They now have a style of their own. 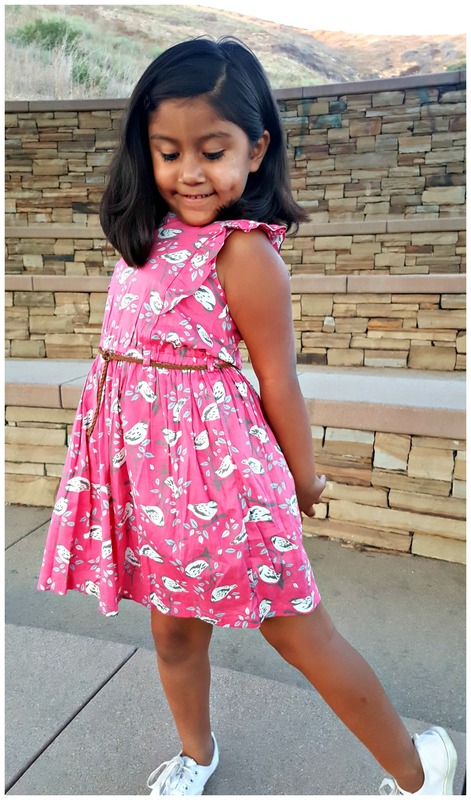 This year we went to Kohl's and fell in love with the Carter's Back to School collection. Come see what my 6 year old chose for her introduction as a 1st grader. My girls have known Carter's since they were babies. Carter's has always had adorable and affordable stylish clothes. This year my little girl who up until now has always been a shorts and t-shirt kinda gal, chose some "big girl" dresses. When she spotted this cute Army green/pink floral combo outfit, she gasped. According to her, Army green is a color that only big girls wear and you can tell it's a big girl shirt by the cute belt. Carter’s provides so many options of easy outfit sets, all the way up to size 8! What I liked most about shopping with my little girl was that once I started shopping in the Carter's section, I didn't have to worry about the clothes being age appropriate. It can be very frustrating when shopping for little girls and the hemlines are just way too short or necklines are not high enough. I don't have to worry about that with Carter's. The styles that Carter's offer are appropriate and stylish, which make both Momma and daughter happy. That pink dress was my favorite and how cute is this sparkly shirt? Mixing and matching leggings and shirts are kind of a Mom's dream come true. I love that you can buy 3 cute shirts and a couple pairs of leggings and be set for the week. It just make life all that much easier. So as you get ready for Back to School shopping. 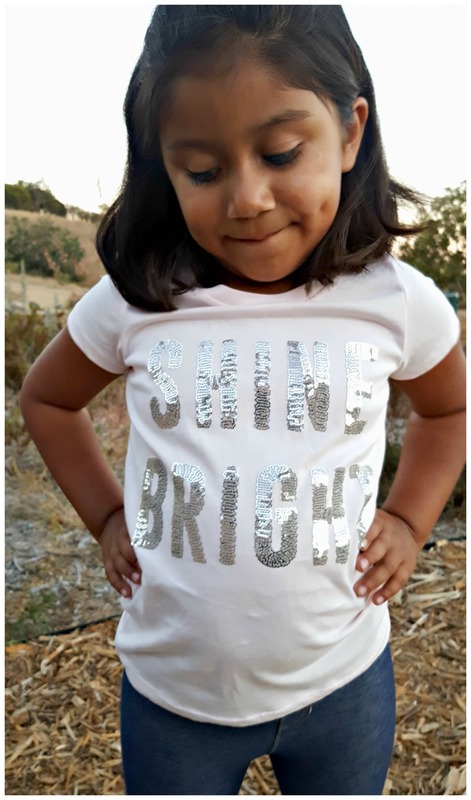 Head over to Kohl's and shop their amazing prices on Carter's Back to School collection. And because I love my readers I have a special discount code just for you!